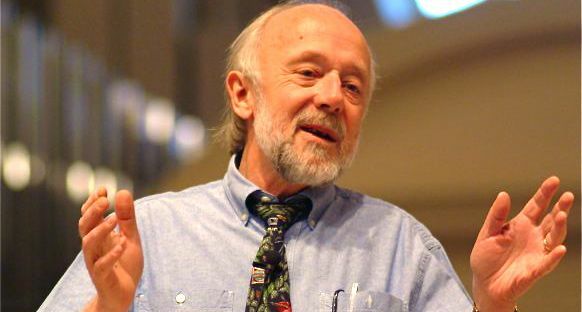 One of the great teachers in my life has been Marcus Borg. His book Meeting Jesus Again for the First Time introduced me to a way of understanding the Christian faith that not only made sense but was worth living. He introduced me to a Christianity for both mind and heart. So I was honored to speak with Marcus Borg about two books, The Evolution of the Word: The New Testament in the Order the Books Were Written and Speaking Christian: Why Christian Words Have Lost Their Meaning and Power–and How They Can Be Restored. This first conversation is about The Evolution of the Word. An upcoming interview will be about Speaking Christian. 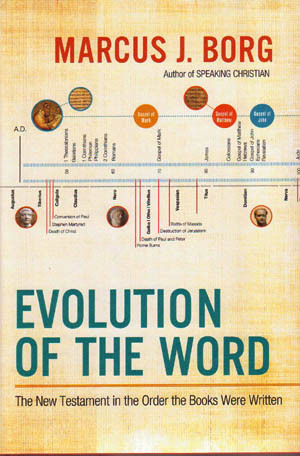 In The Evolution of the Word, Marcus Borg puts the books of the New Testament in chronological order and offers an extended introduction to each book describing its content and historical setting. In so doing he shows how views of Jesus evolved within the New Testament itself. Thursday, April 11th at 8 pm on WETS, 89.5. Sunday, April 14th at noon on WEHC, 90.7. Sunday, April 14th at 2 pm on WETS, 89.5. Monday, April 15th 1 pm on WEHC, 90.7. Wednesday, April 17th at 6:30 pm on WEHC, 90.7.